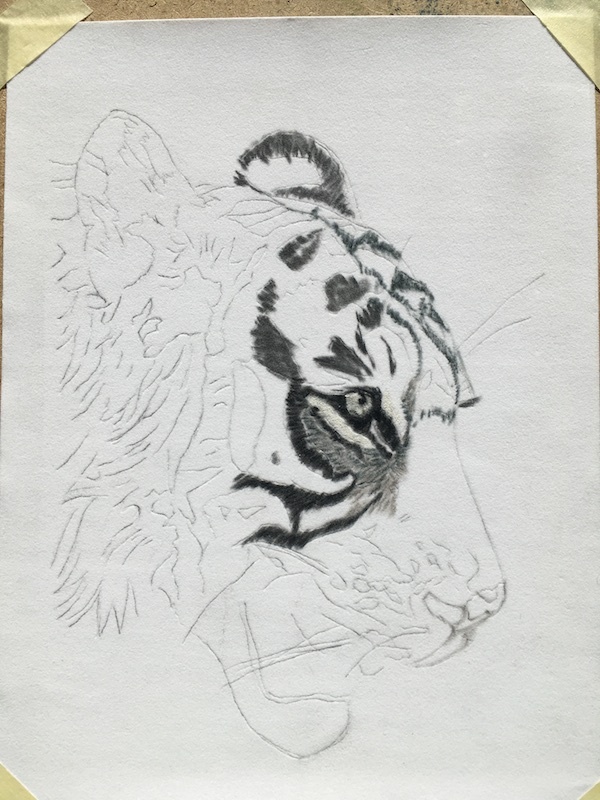 By way of getting to know this gorgeous Bengal Tiger I decided to paint him in black and white using White Velour and various shades of grey with white highlights as necessary. He is already coming to life. 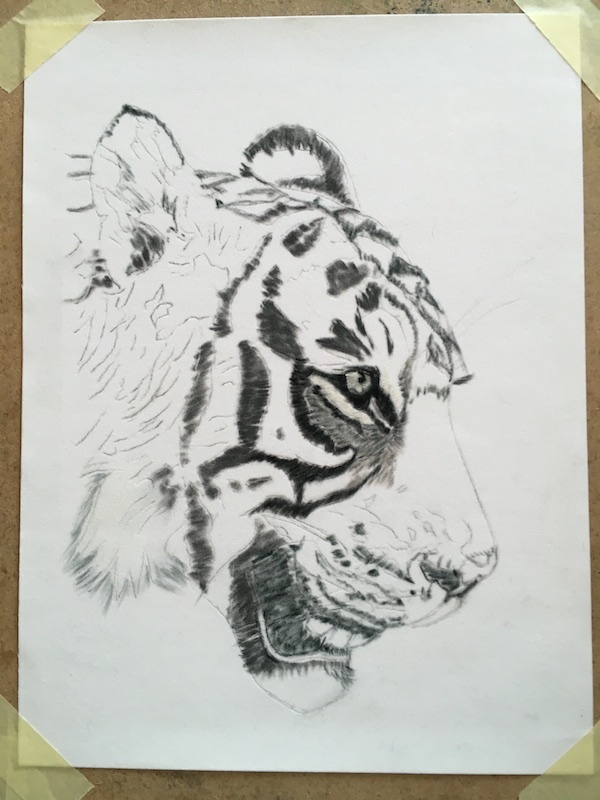 Photo reference Dr Chet Trivedy.